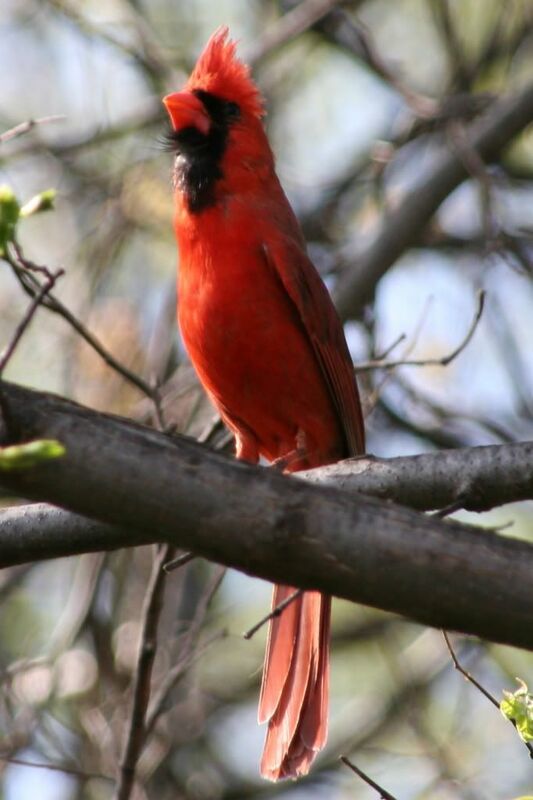 The cardinals are back and have been working on their nest in our front tree. They often return to the same place they previously nested and we have been anxiously waiting to see if they would return. It's fun to watch them. As we studied them last year the one thing that I found most fascinating about them was the fact that they often stay with the same mate their entire life. I wish I had a larger lens and could get a more detailed picture. Maybe I'll add that to my wish list. Tonight was our first boat outing of the season as a family. Haldan wanted to go fishing but after an unsuccessful fishing trip to Pleasant Creek this morning he decided maybe waiting a bit longer might be better. 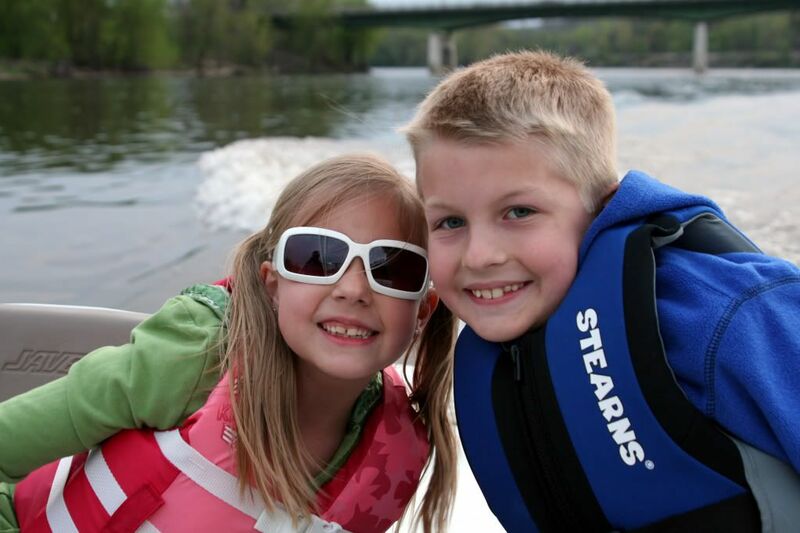 We took the boat out on the river for family night and just had a fun ride. The kids each had a turn driving the boat, which they liked. We'd like to learn to ski this summer. We had high hopes of doing more last summer, but the flood got a little in the way of our plans.